Embrace your time with the Lord, no matter how busy you are! 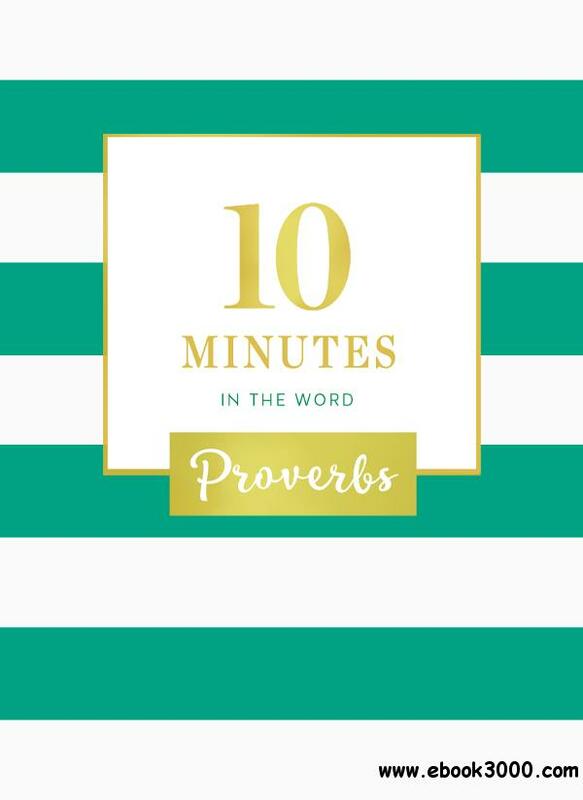 10 Minutes in the Word: Proverbs offers tangible reminders of God's wisdom and meaningful reflections in just 10 minutes. For the days when you need help discerning direction, 10 Minutes in the Word: Proverbs is the perfect way to engage with God. This devotional invites you into Proverbs, the book of wisdom. Realign your heart with God's as you read through the Scripture and spend just a few minutes with Him. Whether you're on a quick lunch break, between classes, or relishing some peace and quiet during nap time, 10 Minutes in the Word: Proverbs gives you what you need to keep going. Just 10 minutes a day will bring you closer to God and learning His Word. At only $9.99 and with a beautifully designed interior, 10 Minutes in the Word: Proverbs is small enough to easily slip into a backpack, handbag, or diaper bag. Keep it on hand for whenever you have a spare moment to connect with the Lord.